Well its done! All garlic is now out and hanging up to cure. 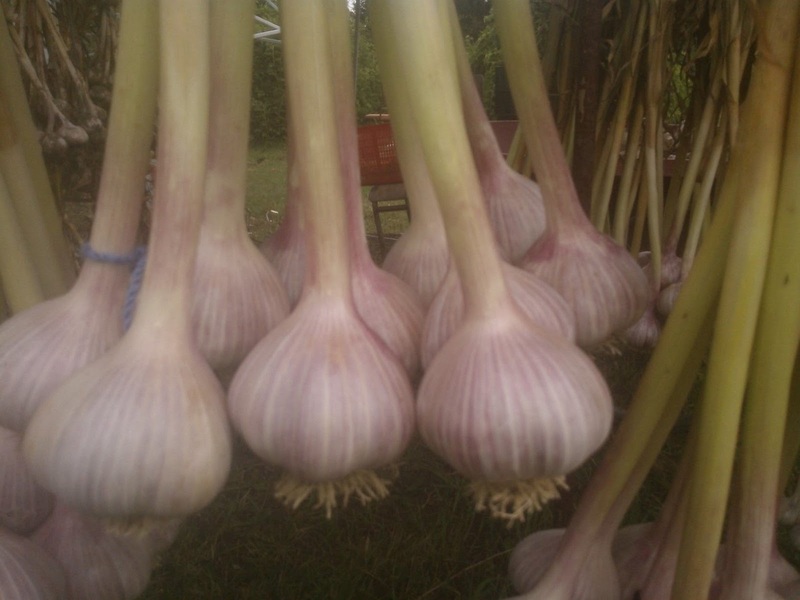 Its was a mad rush this year as the garlic was late to mature and we need to get it out to select out what is going to the Carp Garlic Festival. The festival is this weekend in Carp, by Ottawa, and we are just not ready with our garlic. I will be selling it still on their stems, sorry folks, no purple bags of 1/2 and 1 pounds this year . they will be made available later on if you choose to mail order some garlic. So meanwhile, its curing very well in our barn. Check out the event page often to see where I will be next.